Here is a chance to fuel your excitement from a height of 216 meters! Fling yourself in air and experience the thrill of falling down at great speed. 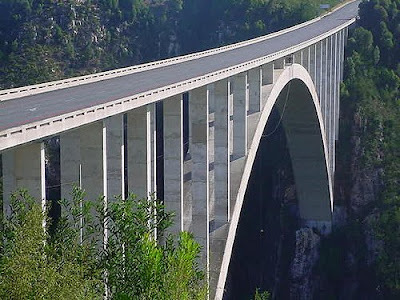 This is no gimmick, but truth that lies at the Boukrans Bridge. 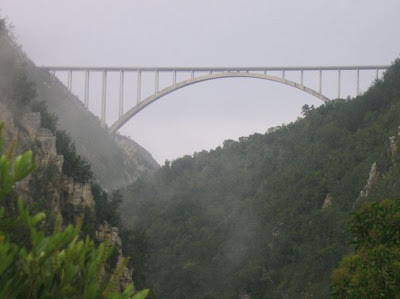 It is the coolest place on earth, and has etched its mark in the Guinness Books of World Records for being the world’s highest commercial bungy jumping venue. You can have access to the jump point, situated on top of the arch, which is via a specially designed walkway underneath the road deck. While strolling on the walkway, you can have the splendid view of the natural splendor surrounding the bridge. The jump allows you to swing like a pendulum and ensures the longest and smoothest ride in the world. 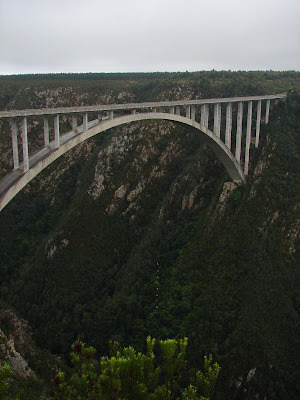 Just 40 kilometers east of Plettenburg Bay along the N2 highway, the Boukrans bridge is situated at the Tsitsikamma Forest Village market, South Africa. 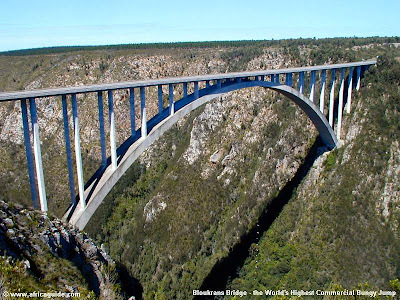 While on your way to the magnificent bridge, you can bask in the splendor of Garden route and the breathtaking surrounding. 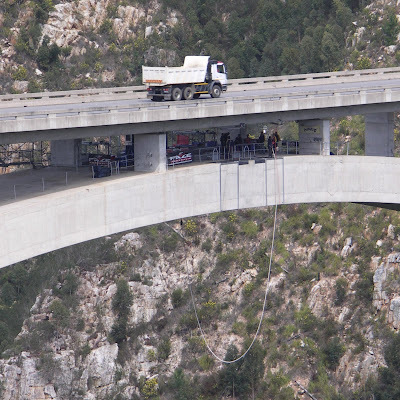 The bungy jumping fraternity was very much excited when the Bloukrans bridge bungy jump was inaugurated. Till, date the bridge has witnessed thousands of brave hearts from all round the world.